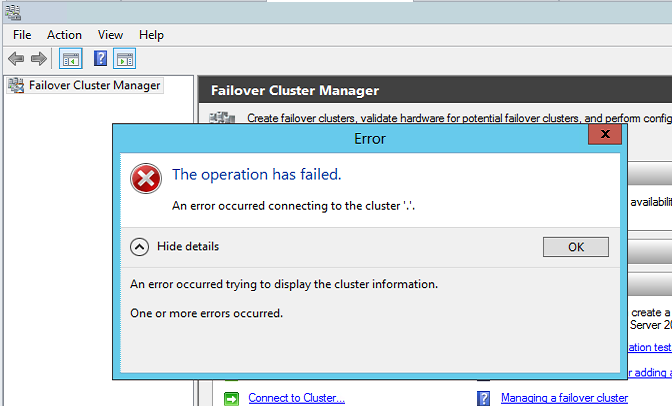 Failover Cluster Manager failed while managing one or more cluster. The error was ‘An error occurred trying to display the cluster information.’. For more information see the Failover Cluster Manager Diagnostic channel. If you have SCCM agent on your server, then that might cause this error. Try to update your SCCM agent to latest version.